Starring Yang Mi (楊冪) and Ethan Ruan (阮經天), Legend of Fuyao <扶摇> opened to a staggering 350 million views last night. 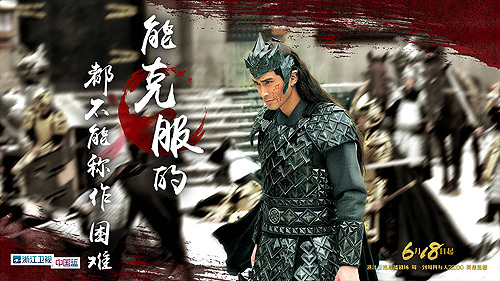 Airing on Zhejiang Satellite TV, the fantasy drama secured the top spot among viewers tuning in at the time. There is already talk as to whether Legend of Fuyao will be able to top Yang Mi’s mega hit series, Eternal Love <三生三世十里桃花>. Viewers were thrilled by the playful chemistry between Yang Mi and Ethan, whose banter seemed more engaging than the melodramatic love story found in Eternal Love. Fans also found that Yang Mi’s character in Legend of Fuyao is gutsy, courageous in love, and speaks up when witnessing injustices. The drama will revolve upon the growth of Yang Mi’s character, as she overcomes various obstacles. 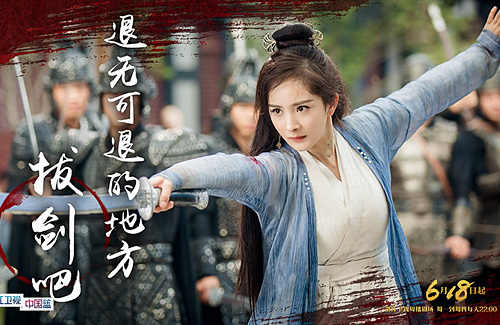 This is a welcome departure from Yang Mi’s former roles in which her characters were weaker. The 66-episode drama is adapted from the novel Empress Fuyao <扶摇皇后>, which tells the story of a seemingly simple girl, Meng Fuyao (Yang Mi), who suddenly showed remarkable progress in her martial arts training under the Taiyuan Kingdom. On a journey to collect secret orders of the five kingdoms, Fuyao meets and falls in love with Crown Prince of Tianquan (Ethan Ruan). However, their love is opposed by their kingdoms as Fuyao’s real identity is unravelled…. 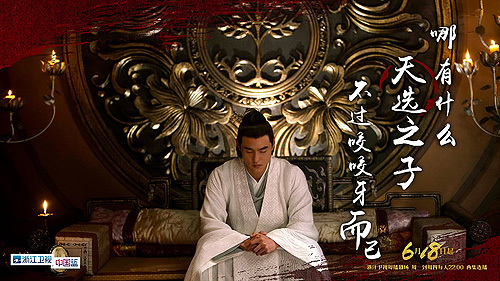 Why is cdrama ancient series always start with The Legend of …? Anyway this looks interesting. Hope less CGI, and bad dubbing. At 66 episodes, it’s like a short series for Cdrama. @funnlim It indicated that it’s fictional. So far the series is on a steady pace, nothing too spectacular yet! Not a fan of the dubbing for the main male lead. 66 is still considered lengthy. Yes. I wish they didn’t dubb Ethan Ruan’s voice. That was part of his performance. @dramas4me if Ethan Ruan’s real voice was to be used in the period drama it would be more off, since his Taiwanese accent would be really noticeable for the mainland audience. 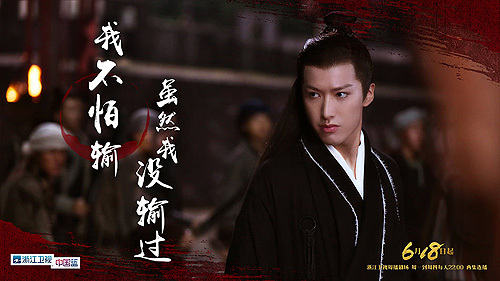 I actually am accustomed to the voice dubbing when it comes to mainland period drama, best is to pick someone more suitable for the actor’s looks and character. @funnlim eternal love was 58! How is 66 short?!!! YM’s series is getting longer and longer it seems! Same with ZYL >_> the trailer didn’t really entice me that much. And the synopsis seems pretty standard – main hero obtained most powerful weapon, go on this epic quest (rpg game style again) fall in love with the future king, but there are forces against their love (harem stuff later on etc etc). Oh let not forget the familiar! @littlefish Yeah the story lines are always predictable and similar. I watched 3W3L because I was curious about the famous novel. I do like the songs in that drama though. Is this good? @mangotango 3w3l was a lot better than I expected, admittedly I skipped the first 10 or so episodes because that was boring and literally not needed. Along with the support storyline, apart from the second main leads story, every other stories are been there done that, nothing new and is serious drag. Even the concubine of YH was a chore…. This one, I’m waiting until it’s finished, because I love 3w3l and that didn’t hook me at the beginning, I actually check back at the half way mark (coincidenly at the point where she was blind and jumped off, which is where the novel starts) and found myself really interested in it, and started watching from there (didn’t go back until the end, where I go back to where they live in the human world, to this day, I haven’t managed to watch the beginning, I saw the whole first episode when I first tried it). For this one, according to the comments, it is popular but also Chinese press didn’t like it, however all the viewers love it and think this is another 3w3l and the chemistry between the leads is very good, however it is not as melodramatic as 3w3l. @littlefish Thanks. Yeah, 3W3L is not too bad though I did fast forward most of the time. I was interested in the storylone since I could not read the novel. The actual story started when she jumped into the well? So the beginning were fillers? Will give Fuyao the miss..Currently hooked on one of the best crime drama..Stranger. No time to watch others. LOL. Wonder when China will explore other genres than relying one costume dramas. Maybe that is the taste of China audience? @mangotango yes, the story started out with her determine to jump. It took her narrative, painted YH as a bad man. I saw a review and the reviewer said she could understand why they did the beginning, to build the world, and not to confuse the audiences (though I’m like what’s there to confuse lol). Well, that reviewer also said a few thing about China: if you do anything with fantasy elements after 1946 (I think, after the revolution), they need to add a scientific explanation to everything. That’s why Victoria Song’s latest series has the Fox demon actually an alien race (eye rolling). Then currently, they are limiting it so the tv channels can’t broadcast more than 10% of its air time on period drama. However it seems web drama can help by passing a few restrictions, for example the time traveling ban. Or the allocated time for period drama. My point is a lot of the reasons why cdrama can’t seem to be creative or out of their normal comfort zones is because of all these silly restrictions the government puts on them. Am I the only one who loved 3W3L from start to finish? Especially the first 6 episodes which really sucked me into the story. The only bits I had to skip were the DH/FJ scenes which were hella boring. I am glad the series followed a linear timeline rather than the sequence of the book, which was confusing at times. @cassiemissy Uhm I doubt it lol. I’m gonna say the most they possibly will only have like 10 or less fighting scenes. Put it this way, the description for the main male lead is very good at martial art but he prefers to use his brain rather than fighting, so it won’t be a lot lol. Anyway, I’ve been reading the fans’ comments, many praised it for being really good. There are bad press about it, for plagiarised the plot lines though. So I think if you are bored, you will possibly enjoy this. But if you look for great story, possibly not exactly from this drama. I haven’t watched it, but just reading about it does give me a bad impression, the bath fighting scene – really guys? You guys are getting accused of copying princess agent and you have to do the infamous bath fighting scene from PA??? But hey, by the time it finishes, my expectations might be so low, I will enjoy it! However I can say for sure it is no 3l3w. Because 3l3w grabbed me from that jump, not many drama can pique your interest like that!